Buck Showalter worked for incoming Blue Jays president Mark Shapiro between managing the Texas Rangers and the Baltimore Orioles. Showalter spent time checking out Cleveland Indians minor league system as Shapiro’s requested in 2008. Showalter only agreed to make the tour of the Indians outposts once he made it clear that he was not interested in Eric Wedge‘s job managing the Indians. Archer was dealt New Year’s 2008 by the Indians along with John Gaub and Jeff Stevens to the Chicago Cubs for Mark DeRosa, the future Blue Jay and now the star of MLB Network’s hit can’t-miss morning show ... and a closet George Strait fan. At the 2014 non-waiver trade deadline the Indians dealt Cabrera and cash to the Washington Nationals for Zach Walters. Player of the month uproar: We usually don’t get too worked up about the perceived injustices surrounding player of the month awards. (Ditto for the end of the year honors, we vote and move on, some fans some place are going to get upset no matter how your ballot reads). Yet, when North Bay stats guru Neil Munro takes pen in hand ... well that is an injustice worth looking into. And Munro feels that while Edwin Encarnacion was fine choice to be the American League player of August, NL voters missed the boat. Encarnacion led in average (.407), slugging (.907), OPS (1.367) and tied for the lead in RBIs (35, with Josh Donaldson) and was second in homers (11, one behind Nelson Cruz, tied with Donaldson). Munro, one of the men behind STATS Inc. didn’t have a problem with that. However, he did have a problem in the NL, where Pittsburgh Pirates Andrew McCutchen earned top honors over Joey Votto of the Cincinnati Reds. McCutchen was second in on-base percentage (.470), third in average (.348) and slugging (.609). Votto on the other hand led in on-base (.524), slugging (.616) and naturally OPS (1.140), while batting .314 (sixth) and being third in homers (six). Etobicoke’s own reached base 65 times and Munro points out taking August walks and times reached base over a full 162 game schedule at the same rate equates to 220 walks and 376 TRB. The all-time records are: Babe Ruth in 1923 with 170 walks and 379 TRB, while Barry Bonds in 2004 had 232 walks and reached base 376 times. In mid-July the stats were (for BB, TRB, OBP, Slugging, OPS): Arizona’s Paul Goldschmidt (68, 175, .455, .610, 1.164) and Washington’s Bryce Harper (63, 169, .464, .704, 1.168) and Votto (57, 146, .392, .484, .876). Now they read (same categories): Harper (106, 259, .467, .634, 1.101), Votto (116, 262, .457, .557, 1.025) and Goldschmidt (100, 256, .437, .563, 1.000). Gone: The Blue Jays will not be re-hiring minor league hitting coordinator Mike Barnett. He was in his second stretch with the Jays serving as the major-league hitting coach from 2002-05. Under Barnett the 2003 Jays with Vernon Wells leading the way were second in team average, runs scored and hits. He also has been a big-league hitting coach with the Kansas City Royals and the Houston Astros. Canucks eliminated: An four-run, eighth-inning rally allowed Team USA to edge Canada 9-5 and eliminate Canada from the bronze medal game at the 18U World Cup in Osaka, Japan. United States will play Japan for gold, while Australia meets South Korea for bronze. Mississuaga’s Josh Naylor, selected 12th over-all in North America by the Florida Marlins from the Ontario Blue Jays hit a two-run homer and Demi Orimoloye of Orleans, Ont. hit a two-run single for Canada. Tristan Pompey, who delivered the key triple in the win over Australia, and Naylor had a pair of hits each. 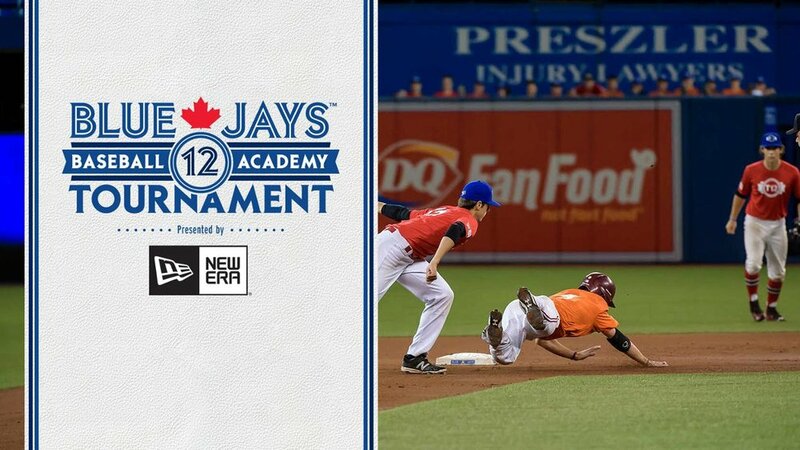 In the eight game tourney, Naylor led the way batting .484 (15-for-31) with three homers and 11 RBIs, while Mississauga’s Cooper Davis batted .375 (9-for-24) and Pompey hit .360 (9-for-25). Right-hander Josh Burgmann of Nanaimo, B.C. had two of Canada’s four wins walking three and striking out 16 in 14 1/3 innings.